Career, profession, work. Man in blue formal suit at office workplace. Business, entrepreneurship concept. Computer, technology, information. 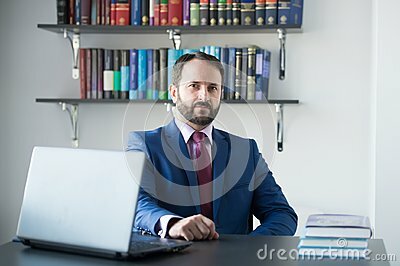 Businessman with laptop sit at desk.